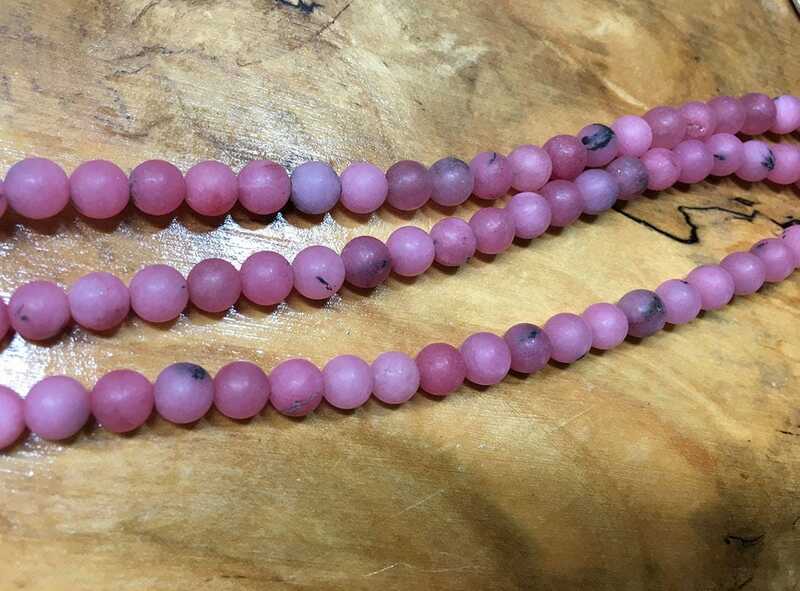 Agate dyed a bright strawberry pink. These are 6mm smooth round beads! There are approx. 32 beads per strand. Common, semiprecious silica mineral, a variety of chalcedony that occurs in bands of varying color and transparency. Varieties are characterized by peculiarities in the shape and color of the bands, which are seen in sections cut at right angles to the layers. Agate is found throughout the world, commonly in cavities in eruptive rocks and in geodes. Brazil and Uruguay are major producers of agates; they are also found in Oregon, Washington, Idaho, Montana, and other western U.S. states. Agate is essentially quartz. Much commercial agate is artificially dyed to make the naturally dull-gray stones more colorful.